On Friday, Syrian President Bashar Assad stated that he does not expect changes in US foreign policy in the near future. “We do not believe that US policy will change in the near future. That [the negotiations with Washington] is a waste of time,” the Arab country’s leader said in an interview with Russian TV channel NTV when quizzed about such a prospect. 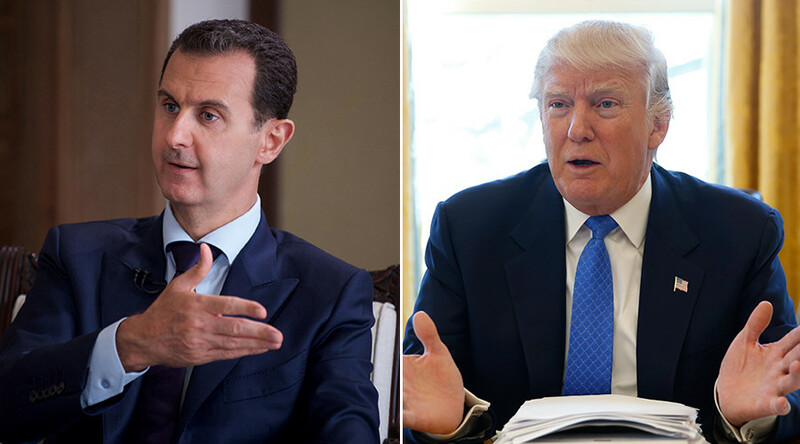 In addition, Assad assured that for the time being a meeting with US President Donald Trump would simply be a waste of time. He added that he sees no need to negotiate with the US just because they are a great actor on the international stage. “We do not plan to talk to the Americans simply because they are Americans. We are willing to talk to anyone, with whom we can achieve a result,” he said. It is reported that the fragment of the interview, which has not yet been released in full, was released on Friday by the president’s press office on its official Telegram channel. Washington has been a key player in trying to bring down the Syrian state and have it replaced by jihadists, as seen in Libya after the US orchestrated the removal of Colonel Gaddafi which ultimately saw his martyrdom in 2011.